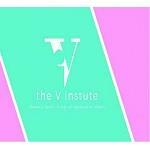 As a premier women's health care centre in Melbourne, the V Institute has been helping women of all ages regain their self-esteem and improve sexual experiences. Operated by a team of expert medical doctors, we strive to deliver the best in women's health care while specialising in treating vaginal conditions. Our doctors have gone through rigorous training and are well prepared to meet your needs.